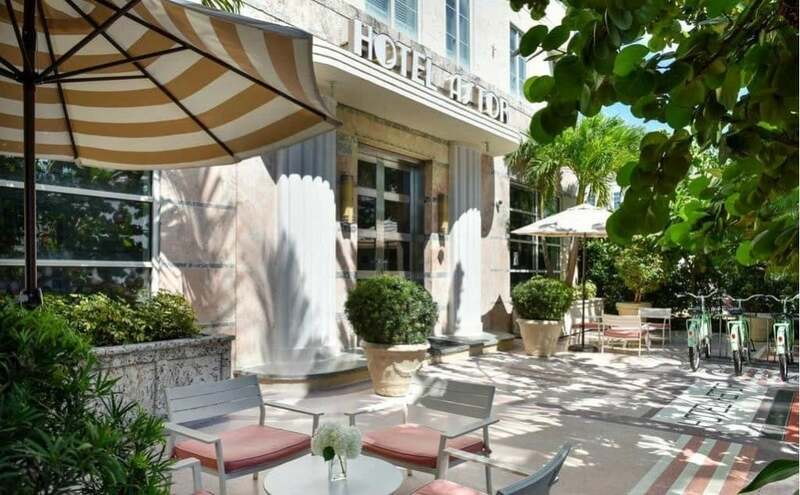 The Hotel Astor is classic Art Deco style building located in the Art Deco District of South Beach. The hotel is located on Washington Street so it is a little removed from the trendy nightlife, but things are still within walking distance. The hotel is three blocks from Miami Beach, and it takes 15-20 minutes walk there, something you’ll want to keep in mind. The hotel does have a pool but it is on the small side. There’s also a lounge area next to the pool, but again it’s on the small side. The hotel common areas have an classic art deco styling, things were neat and clean, and everything looked to well maintained. Standard rooms are bigger than most Art Deco Hotels but they still are smaller than modern hotel rooms. Prices here are cheaper than most hotels on Ocean Drive and much cheaper than nearby Oceanfront Hotels, making this one of our Value Hotels. This is also one of our top rated Four Star Hotels. If you want a South Beach vacation, and don’t mind having to walk a little, this is great hotel choice.Similar hotels would be the Hotel Saint Augustine, Essex House, or the Majestic Hotel. 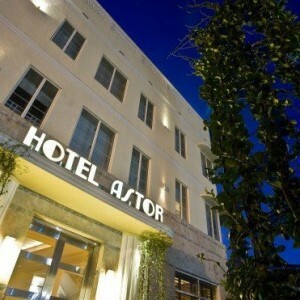 A taxi from Miami International Airport to the Astor Hotel should be $60.